With full adornment befitting a royalty, President Goodluck Jonathan strolled and sauntered to power in 2010. Glowing petals of roses padded the pavement of gold which piloted him into the Presidential Villa. He quickly became a hero. That was then; and now a sizeable crowd somewhere wants us to keep pulling for him as a national hero; while many others think he has been reduced to a zero. But the question is: If Jonathan is not your hero, does he deserve the applause for something somewhere he may have done well? The concession after the March 28 defeat was the pivotal reason the President’s loyalists want us to keep pulling for him as a hero. 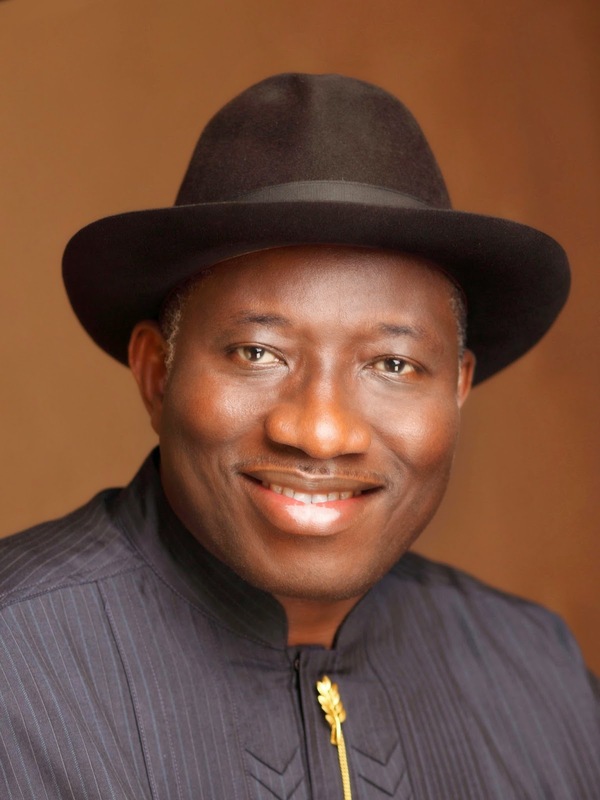 Even before the statesmanlike gesture, some in many quarters had opined that Jonathan is the best president ever in the annals of our history. Some even went as far as suggesting that his name should be embroidered in the hearts of all men by naming universities, major highways, an airport and a stadium after him. Those who believe otherwise think Jonathan’s years as president were wasted; and his rulership will forever be remembered as a hardscrabble season in Nigeria when nothing grew. But does he deserve a standing ovation for conceding after the election defeat? President-elect Muhammadu Buhari also made a brief reference to the President’s wise move when he met with members of the Eighth National Assembly at the International Conference Centre, Abuja last week. Buhari applauded the remarkable role played by the President for accepting the results of the election before final announcement was made. Was there an urge by the President to surpass all others at all costs especially during the last elections? If the account of N2trn the President and his party were said to have expended on the elections alone was true, if the splurging extravagance and vagaries spewed on Obas and Obis, on the Police and soldiers, and on party men and women were true, those were attempts to surpass all at all costs. The Peoples Democratic Party and Jonathan dug deep into many vile arsenals to surpass all others at all cost, and mentioning specific cases now in this treatise is needless. Did the President have an urge to serve the people at whatever cost? If you ask parents of the over 200 girls abducted by Boko Haram terrorists, and consider the refusal of the President to go commiserate with them at their hours of need, those parents will tell you that Jonathan was not ready to serve at all costs. That Jonathan later visited the area late in the game to shop for votes even hurt the parents the more. True heroes don’t have skewed mindsets. But I applaud the President for conceding defeat at the election in the manner he did. If not, the attending disturbance would have been unimaginably malignant; and the reprisals would have equally been historically brutish. The acrimony would have triggered communal clashes and blood would have flowed on our streets. The heartbeat of the nation would have slowed down or stopped; and the economic arteries and veins of Nigeria would have been occluded. Images of all manner of guns, machetes and stockpiled weapony that eyes had not seen would have been etched in the memories of women and children hunting them forever. There would have been wailing and lamentation at an infernal level. How many of these fires of rage would the police or soldiers have been able to put out? For this singular act of prevention of turbulence in this dimension, I give my standing ovation to President Jonathan; but I am not enthused and drizzling the confetti of heroism on him. There is too much pain in this land as a result of what Jonathan could have done for the people but never did. When Buhari takes over on May 29, he will behold the depth of the grave of horror that has been dug for Nigeria in the last 16 years. He is already finding out bit-by-bit. Calling Mr. President a hero is above my pay-grade; and doing so is not fair-game to Nigerians who in my own opinion have always been the HEROES! Nigerians are the ones who have to put up with no supply of electricity; and no electrifying widespread protest from them. They are the ones whose wealth has been pillaged over and over again over these many years and they are not fighting back. They know those who rob them, they know what the robbers purchased with the loot, but they are not fighting the powerful robbers. Right before their eyes, day in night out, gluttons in political leadership have been beating the percussions of pecuniary slobber and salivation that the ordinary Nigerian has been forced and coerced to dance to. I am still wondering why the people have been so patient at the ignominy and impunity created by ogres in government that have outfitted governance with the vaudeville of vagabondage. I guess the time to remind the brigands that power belongs to the people has not come. Nigerians are my own heroes. We may not be sure where the next dispensation is taking us; but we are very hopeful. What we have chosen to have should be better than what we’ve had in the past. Let this serve as a reminder to those who are already lobbying to come in to power: Any lead drummer in Nigeria who again beats the drum of governance off-rhythm without a due consideration to the welfare of these heroes will be replaced without hesitation.